FAQ: How to edit my account details in Pathbrithe? 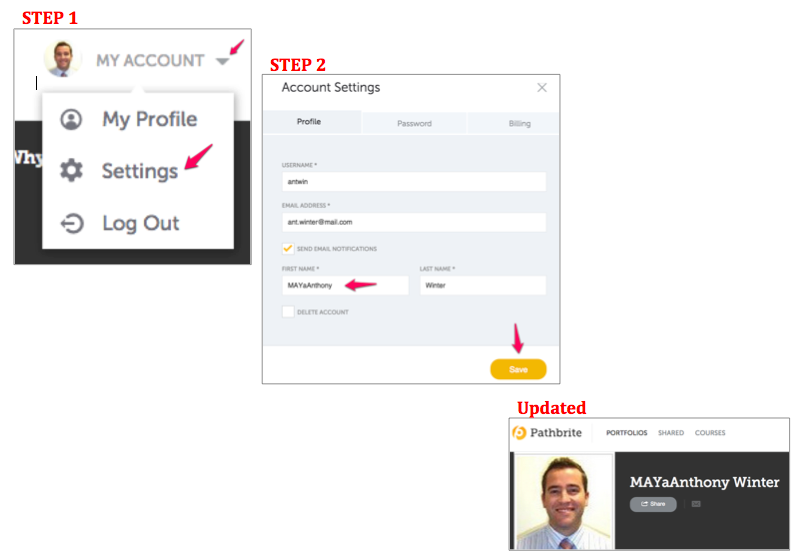 Once you have set up your pathbrithe account, you can always edit the details for that account later if you need. Go into your account settings (Step 1), to bring up the editing pane (Step 2). Once you have made the changes, hit save and the details will be updated. See example with first name edited.